Bryn Engineering started the re-bore of Caliban‘s cylinders last Tuesday and continued into Wednesday. There is still some work to be completed which will be done shortly. The main focus of activity has been on Cumbria which needs to be back in traffic at Embsay as soon as possible. 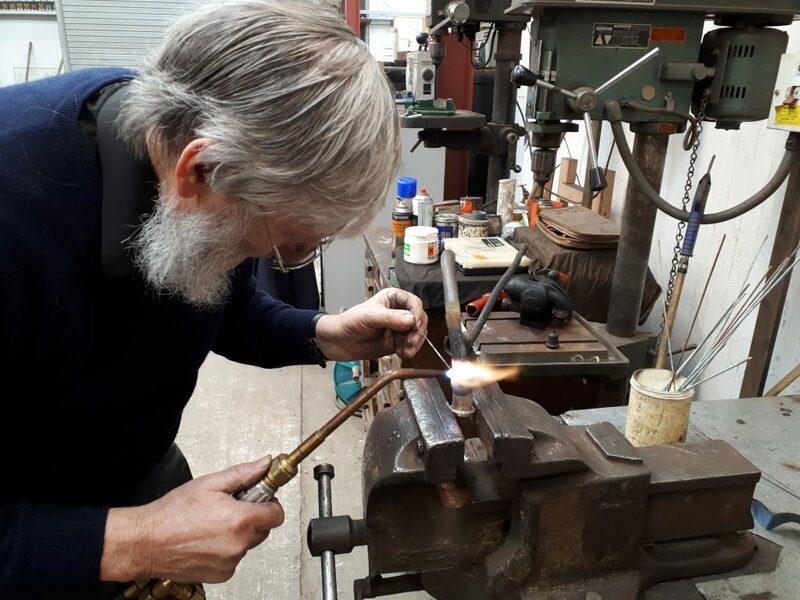 Tim has completed his work on the ‘J’ pipe valve faces and Bill Norcross has machined two new bolts to hold the ‘J’ pipe in place which replace existing bolts with worn threads. It is hoped to be able to put this all back together this next week. 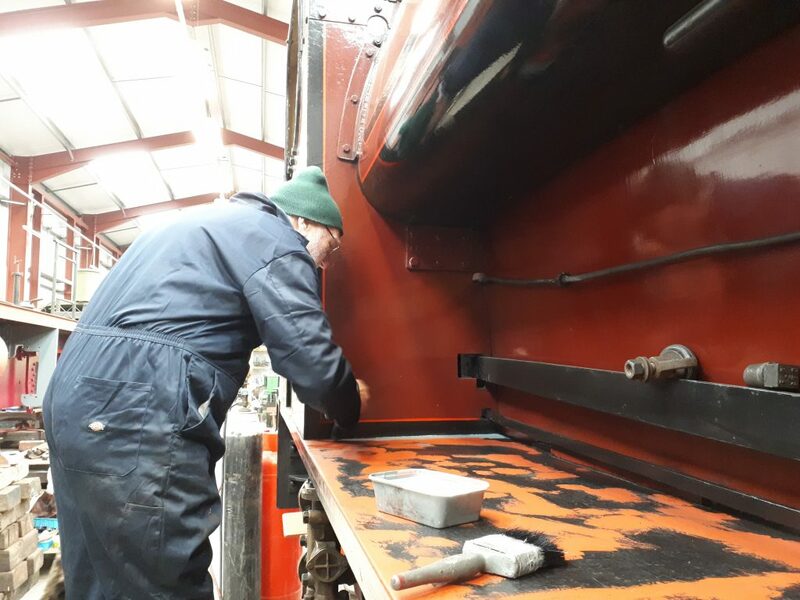 The clack on the newly refurbished fireman’s side clack box has been ground in and Alan Middleton has silver soldered a new joint on to one of the brake valve pipes. Again, the brake valve should be re-mounted this next week. 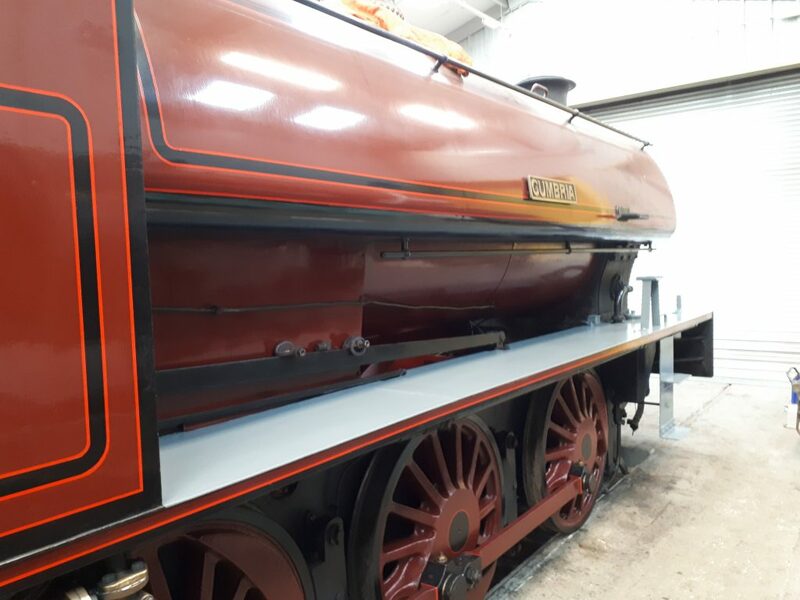 The running board and cab steps have received a coat of grey undercoat paint, courtesy of Phil Bell (pictured) and Roger. Outside, work has continued on cleaning old paint from the new tender tank for Wootton Hall. Six repaired and two new springs for the tender have been delivered to Preston, and news from CMS Cepcor in Leicestershire is that the wheelsets have been in the lathe for re-profiling. John Dixon undertook a variety of minor work on FR 20’s frames whilst anyone else spare this last week has continued the work on Fluff‘s frames. 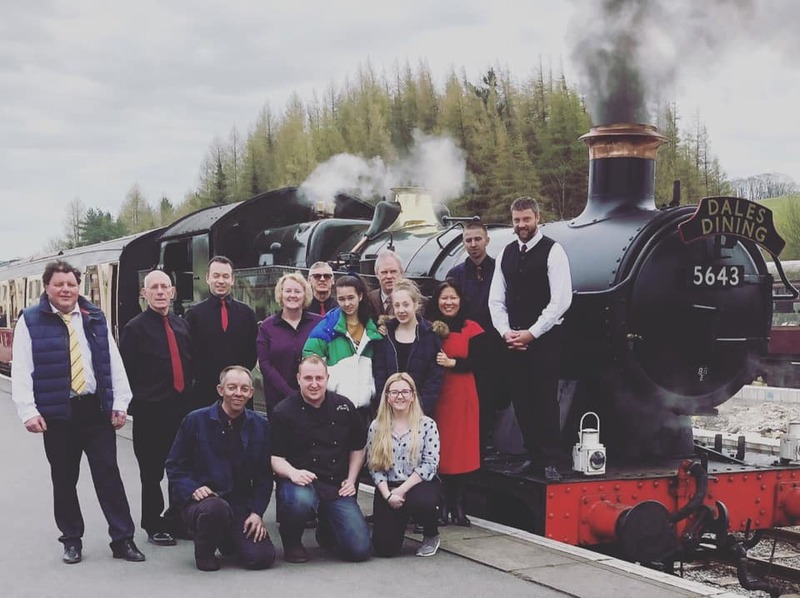 Finally, over at the Embsay & Bolton Abbey Steam Railway, 5643 was, as planned, in steam for Mother’s Day.